It’s natural for your hearing to weaken as you age. Depending upon your level of hearing loss, it can be something that serves as a mild inconvenience, or something that needs to be addressed unless you want simple conversations to be challenging. Still, losing your hearing is ultimately not going to force you to withdraw from everyday life or anything. However, if you are an avid hunter, hearing loss can dramatically alter your ability to continue with the hobby you enjoy. An inability to detect the faint noises made by animals scurrying around in the wild may mean that you will never be able to spot any target. That is why hearing amplifiers are being made available to people who love hunting. 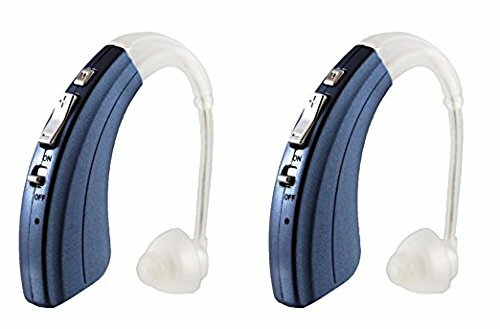 These devices are designed to make up for your loss of hearing, and they will enable you to maintain the hobby you have enjoyed for much of your life. Below, we will cover some of the better hearing aids currently on the market, and we’ll detail all the things you need to know before you decide which one is the best hearing amplifier for hunting. Hunting sessions typically take a long time. It can take a while before the animal you’re tracking shows up in a spot where you can safely fire. That means there’s a lot of downtimes for you to endure, and the same goes for your hearing amplifier. The great thing about Britzgo’s Digital Hearing Amplifier is that it can stay on even during those marathon hunting sessions. If you remember to fully charge this item for at least eight hours before using it, you can expect it to remain in service for a very long time. How long you ask? 35 hours. That’s right. If you can fully charge the Digital Hearing Amplifier from Britzgo beforehand, it can remain in use for up to 35 consecutive hours. You’re never going to be out for a 35-hour hunting session obviously, but if you’re going on a trip somewhere without power and just roughing it, then this hearing booster is precisely what you’ll need. 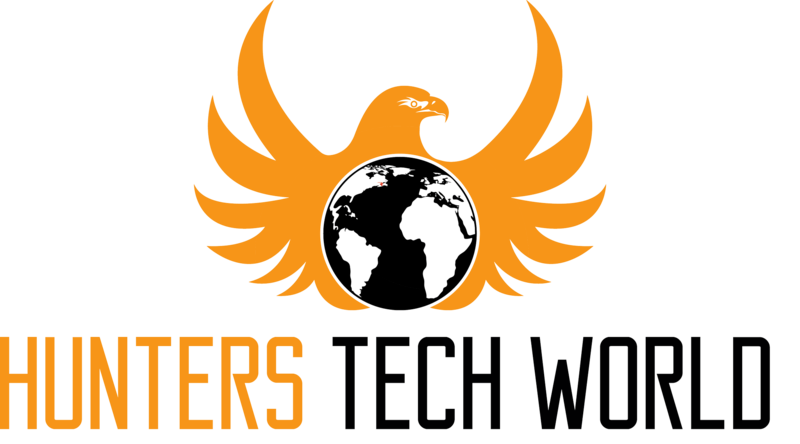 It helps that it is also lightweight and ergonomically designed. Such a long battery life would not have meant much if using it for an extended period would make you feel uncomfortable. Thankfully, the Britzgo Digital Hearing Amplifier is a well-designed item that performs its intended function for an extended period. • It’s straightforward to use. • It’s so light that you’ll barely notice you’re wearing it. • The noise reduction features need improvement. It’s hard to imagine anyone ever complaining about the battery life of this product. Just make sure you charge it regularly, and you’ll never have to worry about your hearing amplifier shutting down when you need it most. This item isn’t specifically designed to be a hunting aid, so it may not be as useful in the wild as other products. When out in the wild, the hunter must be in possession of absolute essentials. A gun, knife and even a drone is one of them of course, and next to that are articles of clothing that will allow the hunter to remain undetected by any of his prey. The hunter’s senses must be heightened so that any little movement can be seen and heard. Suffering from hearing loss would make it difficult for any hunter to detect those specific noises that their common targets are known to cause, which is why the Walker’s Game Ear can prove to be quite helpful. What makes Walker’s Game Ear particularly helpful as a hearing enhancer for hunters is its focus on making high frequency sounds more audible. These are the exact sounds that you need to be able to detect if you are going to have any success while hunting. Adding to the appeal of Walker’s Game Ear are components designed to protect the hunters using it. The proprietary compression circuits are designed to minimize the noises that come from muzzle blasts. You don’t want to leave the hunting range with your ears ringing, right? That’s what you’ll be able to achieve with the aid of Walker’s Game Ear. • It protects your ears when you’re using it. • This product enables you to focus on the sounds you need to hear. • It may start to malfunction way earlier than expected. It’s specially designed to be a hunting aid and make no mistake; this product will make it so much easier to spot the animals you’re hunting down. Durability can be an issue with this hearing enhancer. If you don’t care for it correctly, you may need to get a replacement sooner rather than later. This video shows the hearing amplifier in action. The hearing aid’s job is to make it easier for you to hear the sounds produced around you but accomplishing that alone is not enough to make an item anything special. Your hearing needs change depending upon the location you’re in, and it would be ideal if the hearing aid you’re using can remain useful no matter what. That’s exactly what the Walker’s Game Ear Micro Elite Hearing Enhancement Aid does for you. This hearing aid comes with four listening modes. When out in public or just relaxing at home, the general listening mode will be adequate. You’ll be able to hear people talking and appliances making noises, and that’s enough. If you’re going somewhere frequented by many people, you’ll want to change the hearing aid’s listening mode to crowd. Doing so will enable you to still pick up on the crucial sounds being produced nearby, while the murmurs of the other people in the group will not be buzzing in your ear. The music/theater setting is best suited for when you’re in the mood to hear some sweet tunes. You want those gorgeous voices coming through loud and clear, and this hearing aid will enable that. 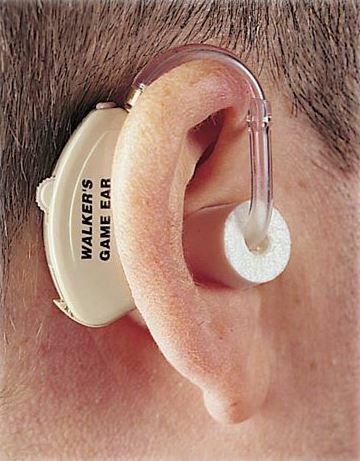 Lastly, the natural setting included in the Walker’s Game Ear Micro Elite Hearing Enhancement Aid will enable you to hear the sounds that animals make in the wild quickly. Even the softest noises will come through, and that should help you out a lot whenever you’re out hunting. Its price is on the high side. You may need to save some money if you’re planning on getting this item. ​​​​​• You can easily customize this product according to your needs and preferences. 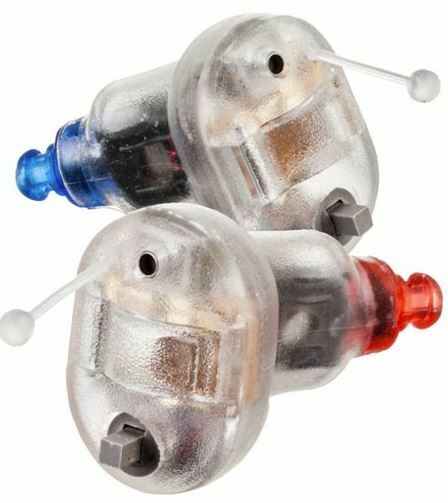 • This is a hearing aid you can use just about everywhere. • Take care not to lose either earbud because they are designed for use with a particular ear. Hunters struggling with their hearing will find all the products listed above will get the job done. Even those who would just like their hearing to be enhanced will benefit from owning one of the items. Non-hunters may find that the Britzgo Digital Hearing Amplifier is better suited for them because the other two products are designed for those who like to be in the wild. Now that you know more about what kinds of hearing aids are out there, you should be able to pinpoint which one can work as the best hearing amplifier for hunting. Always keep in mind your specific needs before choosing one, and you should end up making the right purchase.